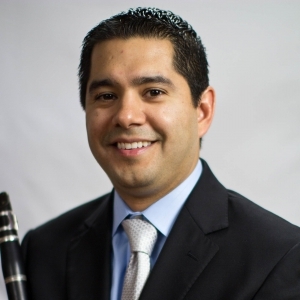 David F. Lopez joined the music faculty at Fullerton College in 2015. Dr. Lopez received his Bachelor of Music Performance degree from California State University, Long Beach, his Master of Music Performance degree from California State University, Fullerton, and his Doctorate of Musical Arts degree from the University of Arizona. Dr. Lopez has played in various ensembles throughout the Southern California area including performances with Saddleback College Musical Theatre, El Camino College Musical Theatre, Torrance Theatre Company, Global Symphonic Band, and Cerritos College Musical Theatre. His orchestral experience also includes performances with the Tucson Symphony, Marina Del Rey Symphony, Carson Symphony, Peninsula Symphony, and the Culver City Symphony. Prior to Fullerton College Dr. Lopez was adjunct faculty at Cerritos College where he taught applied clarinet lessons, and at Santa Ana College where he directed the string orchestra, and taught various courses such as Music Appreciation, Music Theory, and Jazz in America.